Although our civilisation and societies have, for the most part, evolved in leaps and bounds it seems that human beings haven’t evolved all that much physically throughout their recorded history. We’re still the same creatures we’ve always been, but with many more tools and much more information at our disposal compared to 500 years ago. It’s those tools and that information that explain why, although we’re physically the same creatures, the global average life expectancy today is around 71 years while it was less than half that just centuries ago. By some standard, our ability to insulate ourselves from the “natural causes” that once defeated us far earlier makes us an entirely different animal. And today, exciting genetic experiments present the possibility that humans could eventually live upwards of 500 years! Keeping tabs on global life expectancy is part of the learning curve, the process that might lead to us outliving preceding generations by years and even decades. It’s useful for science, for policy and for activism: But in a broader sense it’s useful for plain old perspective. The World Health Organization recently released its latest life expectancy statistics for men and women around the world in 2014. Since women live longer than men, we’ve ranked the top 10 countries by women’s life expectancy, to paint a portrait of the societies in which humankind lives the longest today; naturally healthy lifestyles and good health care, along with a range of other factors, contribute to the long lives of citizens in these ten countries. Lets Look at the Countries Where Peoples Live Longer. If you’re looking for a model of great healthcare, you need look no further than the Portuguese system. According to the WHO, Portugal’s tripartite system of the National Health Service, specialized insurance for certain professions and voluntary private insurance lands among the top 15 in world performance. Typical of the European model, taxation allows the government to keep virtually the entire population covered on multiple fronts without interfering in the private sphere. Since the 1980s, the country’s infant mortality rate fell from 24 of every 1000 newborns to only 3 today, and statistically every year its population can expect to live a little longer. Luxembourg’s stringent standards of state-funded healthcare make for one of the most all-inclusive systems in the world. Healthcare taxes come equally out of Luxembourgians’ paychecks and employers’ revenue, and they cover every citizen regardless of age or status. The result is an astounding coverage rate of 98% from a system that covers all students until they turn 27. For those who can afford it, supplementary insurance can be sought from strictly non-profit subsidiary health agencies of the social system; a private sector proper doesn’t exist at all. Given women’s estimated life expectancy hovered around 82.2 years and men 76.7 years in 2012, this year’s new figure certainly shows it’s been working. What might be the envy of many developed countries, South Korea’s healthcare system features among the lowest wait times and prices in the world. The key is a single-payer system — meaning all health services are billed to one entity (the government) — which makes administrative costs significantly lower than Europe and North America’s. Ultimately, citizens pay far less for some of the tightest and fastest general coverage, and hence one of the highest life expectancies in the world. Full coverage, however, excludes the full gamut of extra tests and treatments that might accompany chronic conditions or complex diseases like cancer. Many Koreans also say the system’s speed represents a lack of good care by doctors, who combat fixed medical prices by treating higher volumes of patients. All the same, it seems their so-called “five-minute diagnoses” have been pretty on point. Australian life expectancy ranks 7th for women at 84.6 years and 3rd for men at 80.5 years. Considering the country spends less than 10% of its GDP on healthcare while the US spends somewhere around 18%, this seems like quite a feat. The publicly funded Medicare system has been a great success since its conception in 1984. It coexists with a specialized private system. Thanks to an income-relative taxation strategy, the system can afford benefits to all citizens for consulting with physicians and specialists, all ordered tests and examinations and most surgical procedures. A study on “end of life” care by The Economist gave Australia’s system the highest ranking for its access to services, quality of care and public awareness. France spends significantly more on healthcare than the rest of Europe, and apparently that’s particularly helpful for older French citizens. The WHO once assessed France’s health care system as the best performing in the world, and for readers who recall Michael Moore’s Sicko documentary (the one where he gloriously pilots a boat of sick people to Guantanamo Bay) some French doctors actually make house calls like plumbers, showing up armed with stethoscopes, vaccines and EKG machines within the hour. Once again, the key here is a culture with a general consensus to pay more and receive more when it comes to healthcare. The government sets premium levels related to income and usually manages to refund patients 70% of most health care costs and 100% of costly or long-term ailments; and as this statistic shows, that could be quite the long term. In a recent piece for the BBC, one journalist ponders why Italy’s life expectancy trumps that of the UK when, by all accounts, Italians have a lower standard of living – they smoke more, have a poorer economic status and spend less on healthcare (only 9% of GDP). A valid question, but the effects of culture on health are enormously significantly and basically immeasurable. 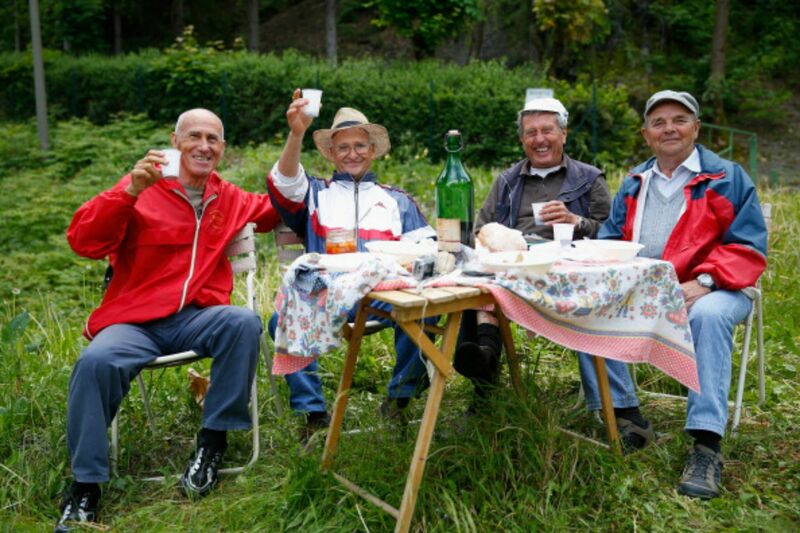 Quite possibly, Italy’s world-renowned cuisine and famously feisty, optimistic attitude better sustains good health. The country’s national health system — once hailed as the second best in the world behind France — has also been praised for offering inexpensive treatment to all European citizens. 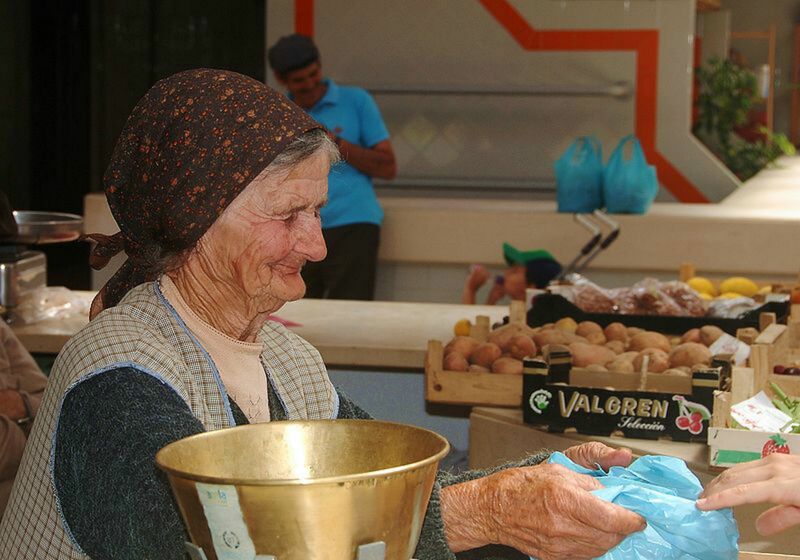 Italy retains one of the highest life expectancies for both men and women today at 80.2 and 85 years respectively. 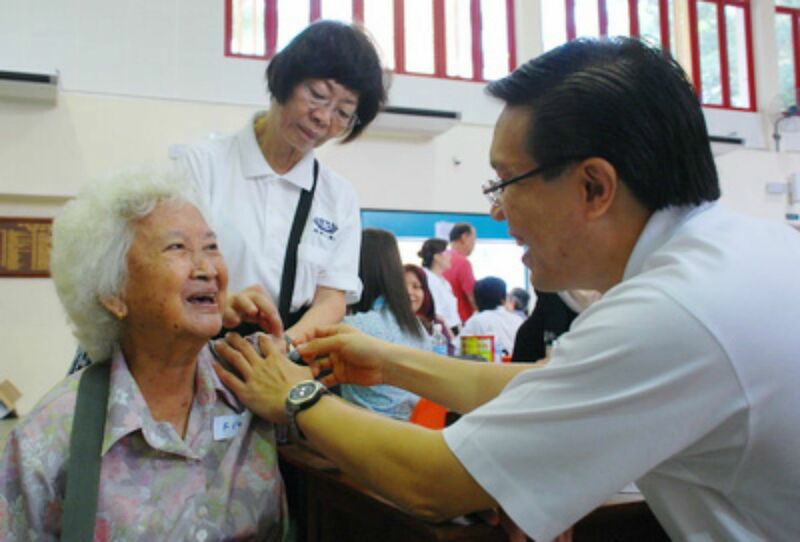 Singaporean men and women rank 5th and 4th respectively worldwide for life expectancy despite allotting only 3% of its GDP to health care today. At the heart of this success lies some unique social policy: To start, the government establishes all insurance policies and their prices. They also offer high health subsidies for low income citizens, health retirement plans, and compulsory savings programs for housing which provide a strong social backing to keep services affordable and performance driven. But the bigger picture — a culture of universal care ahead of all costs —is the most valuable lesson for countries worldwide. Within three months of birth or taking up residence in Switzerland, the government requires you to be provided with basic health insurance. The system successfully mingles public, subsidized private and fully private healthcare companies together under the stringent but non-stifling guidelines of the Federal Health Insurance Act. How does it work? All insurers must, by law, offer everyone basic coverage – regardless of age or medical condition – without making any profit. Then, supplemental plans or “extended” coverage let the market run free. In other words, all Swiss citizens are benefactors of the system; the only “customers” are those who choose to be. Completing the three-way tie for runner-up is Spain, a position that sparks the same curiosity as Italy’s given their similar socioeconomic factors. Once again, it seems there’s something to be said about the Mediterranean diet. Food is a huge part of the culture here; the Spanish spend more per person on food than any other nation while caring far less about Western nutrition standards like calorie intake and low fat substitutes. The cuisine remains strongly traditional, and wouldn’t you know it? There’s no obesity epidemic. Backed by a strong universal health system, Spanish culture appears to be one of the most conducive to a long and healthy life. Japanese citizen Misao Okawa was widowed 83 years ago. At 116, she is the world’s oldest person according to the Guinness World Records. Her secret? Eat, sleep and relax. Then there’s Japanese citizen Sakari Momoi, born Feb 5, 1903, the world’s oldest man. 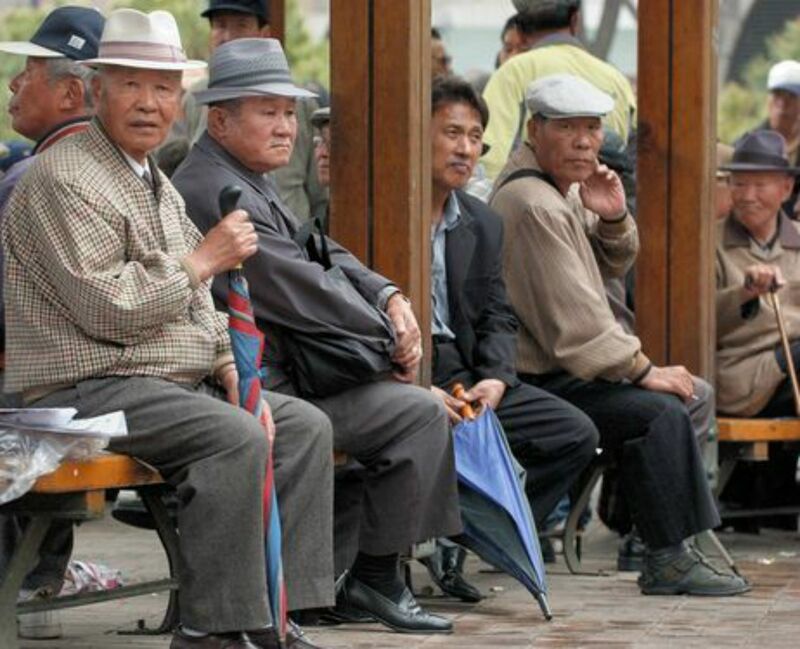 This isn’t coincidental: Half of the world’s 40 identified “supercentenarians” — people who’ve hit 110— live in Japan. 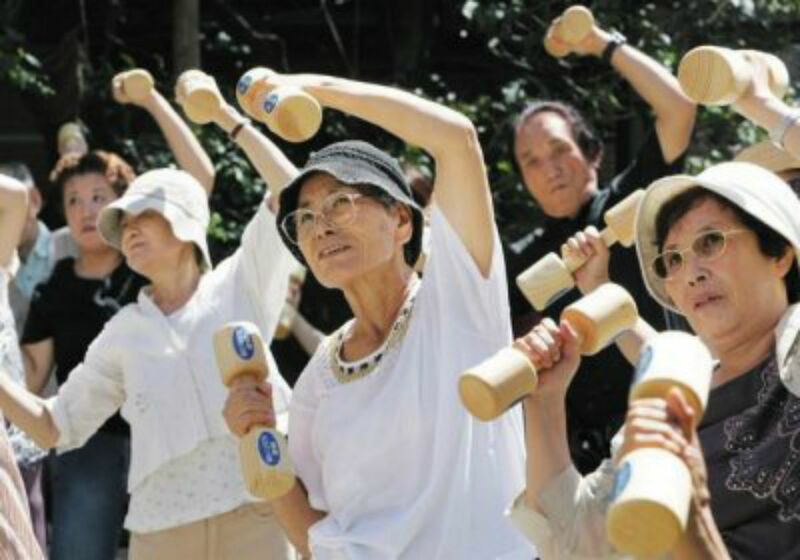 At 87 years, Japanese life expectancy outranks the runner-up countries by double the margin the runner-ups outrank even the 10th place position. We can only wonder what it is about Japanese culture that clearly gives more mileage. On one hand, the country runs a far more depersonalized healthcare system than the West with no family doctors and little emphasis on medical ethics and bedside manners. On the other, they have a universal system that makes high use of world-class technology. But the real difference is undeniably cultural: Studies show Japanese diets mean citizens tend to have less heart-attack causing plaque in their arteries which explains the country’s low heart disease rates.